Graphics processing unit (GPU)-based clouds are gaining momentum, and GPU computing resources are starting to be offered as a cloud service, either as parallel computing power or accessible as a part of a leased virtual machine (VM). 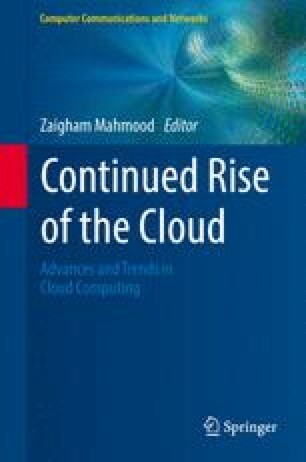 For this reason, the GPU cloud is one of the most promising cloud evolutions. However, the present cloud offerings do not effectively exploit GPU computing resources, which could well improve the performance and security of distributed computing systems. In fact, heterogeneous many-core hardware and especially GPUs, offer a potentially massive increase in computing power. They are also very power efficient, enabling significant price/performance improvements over traditional central processing units (CPUs). Unfortunately, and more importantly, GPU clouds do not guarantee an adequate level of security with respect to access control and isolation. There is no effective control on how parallel code (a.k.a. kernels) is actually executed on a GPU. In fact, the present GPU device drivers are entirely based on proprietary code and are optimized for performance rather than security. As a result, GPU architectures and hardware (HW)/software (SW) implementations are not yet considered to be mature enough for a GPU cloud. In particular, the level of security offered by this novel approach has yet to be fully investigated, as there is a limited security-related research that specifically targets GPU architectures. This chapter describes how GPU-as-a-Service can be exposed to misuse and to potential denial of service (DoS) and information leakage. It also shows how GPUs can be used as a security and integrity monitoring tool by the cloud, for instance, to provide timely integrity checking of VM code and data, allowing scalable management of the security of complex cloud computing infrastructures. Some further relevant security concerns are discussed in this chapter, including GPU service availability, access transparency and control.